Ta Phin Village is located in Ta Phin Commune, Sa Pa District, about 15km northeast of Sa Pa Town. 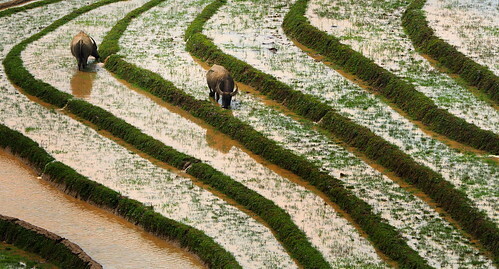 The village is surrounded by mountains and owns spectacular rice terraces and corn fields. The best time to visit Ta Phin is in late afternoon when tourists can enjoy amazing view of sunset over the village and the whole surrounding areas. Because of it’s isolation there aren’t many ways to reach the village itself. From Sapa, the best option will take about 30 minutes to reach here by motorbike. The mountainous road can make it difficult for cars to move, so the best solution is to hire a “xe om”, or motorbike taxi, with an experienced driver who will take you to right place, take in mind that round trip with car is around 400.000 VND. Probably, the driver will take you some expert advice to enjoy the village. 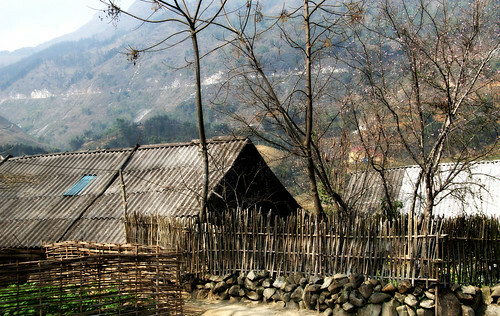 If you want to around the trekking roads to the village start from Sapa and the distances are about 12 to 14 km. It depends of the place where you were planning to stop in the village. The easiest way is the one starting around Sapa lake: you need to find the small rocky way that goes through Ma Tra village and it’s rice paddies. Either you come by foot or by bike you will have to buy a ticket. If you come by walk or by bike actually costs 20 000 VND, if you come by car 40.000 VND. The best thing is that the money collected is used to repair roads and schools. Red Dao people living there still keep strong customs: arranged weddings where the price of the bride can still reach a decent amount of old Indochina silver piastres. The use of roots and plants to dye silk threads in bright yellow or dark orange. Harvesting medicinal plants in the jungle in order to make their traditional herbal bath. The Dao consider themselves to be the descendants of Ban Vuong (or Ban Ho) a legendary character of the ethnic minority Dao people. 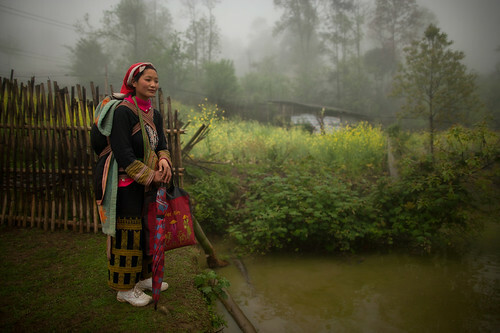 Hmong people usually live in smaller houses and grow hemp and indigo plants. They turn these plants into stunning pieces of clothing and souvenirs for the village visitors. A common sight in the village is to see the woman and the girls sitting together, gossiping and laughing, head down focused on a piece of indigo colored cloth. They make embroidery and brocade productssold and traded amongst the villages and visitors. The locals are friendly and will invite the tourists to go to their homes to show how they live and what they own, and try to sell you their things. If you want eat or drink something you can find a few shops where you can have a noodle soup or some rice with eggs and vegetables. The favourite place of the locals is the one on the right side of the car parking. They have like 2 big wooden tables outside made of old trunks. On the left side a woman sell snacks like bananas, boiled eggs and sometimes steamed buns or boiled corn. The gastronomy in Ta Phin is composed by fresh vegetables, chicken and a few shots of home made rice wine are likely to be the base of the meal. If you don’t like that, there are more western-oriented homestays that usually serve french fries and pork-based dishes or pancakes in the morning. Don’t forget to try the local home made rice wine ! The Dao here is one of the best you can have around Sapa area. Because the typical one is about 30º and the one drank for weddings can range up to 60º, and contrary to some restaurants in Sapa the rice wine brewed here is free of additives like the dangerous methanol. It’s quite small so tall persons might not enjoy it. It is said by the locals that it is 15 km long. Bring along old clothes and flash lights if you wish to travel far into the cave. July and August is not a good period to visit the cave as it become very slippery and wet. Visit the ruined old French monastery: it had been established in the early 1940s when Ho Chi Minh’s Viet Minh began their assaults on the Vichy French colonial establishment and their Japanese patrons. The monastery was a natural target and its occupants are said to have made a swift retreat to Hanoi. The route is plenty of locals. Take a herbal bath: is one of Ta Phin specialities. In adition, Red People are well known because of this tradition. So we suggest you to take one of this. It relaxes your body and renews your energy by enhancing overall circulation. It also offers benefits to you because remove dead skin and impurities and relieves some chronic illnesses like rheumatism. You can try other way to take your skin clean and soft. Take a embroidery lesson: they use a natural plan extract, indigo, to provide the base colour for their wonderful garments. Participate in a Red Daowedding: If you are lucky enough, you can have a chance to participate in a Red Daowedding, seeing how carefully they prepare for the complicated customs for this occasion. See local festivals: there several local festivals such as “dancing festival”, “greeting for the new house”,and “oath-taking ceremony”. That will help you to understand more about the simple but happy life of ethnic people. Other suggestions: if you are friendly and open-minded local people will offer to help them prepare a meal, feed the animals, work in the nature, practice rice culture, work in the fields, make and drink rice wine, attend a wedding, teach them english or help them to clean the village. Or simply take a walk and enjoy the views. Ta Phin village now has around 12 homestays. Take in mid that it’s really hard to make your book in advance because most of them are Dao owned, that’s the reason why they don’t really have websites. You can reach them either in the 1st hamlet where there are some ladies wait for tourists in front of a small house, waiting for potential buyers of their products or the center of the village. 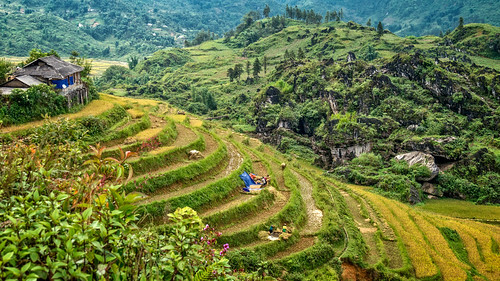 The most common choice it’s to spend a one-day trip from Sapa to Ta Phin and come back to sleep in the homestay in the big town. But if you want to live the real vietnamese experience we strongly suggest you to stay one night in a Ta Phin local homestay. 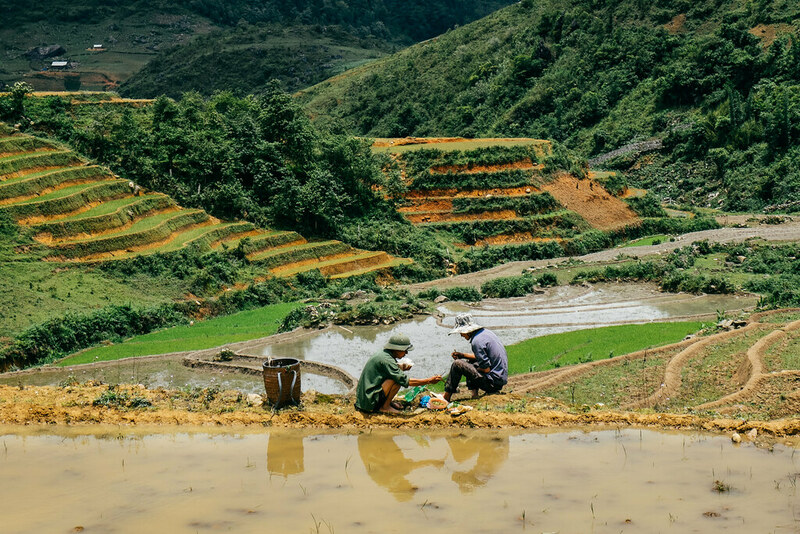 A community tourism training project in the Sapa region of Northern Vietnam operated by Capilano University Vancouver, Canada, and Hanoi Open University, Vietnam, and supported by the PATA Foundation. 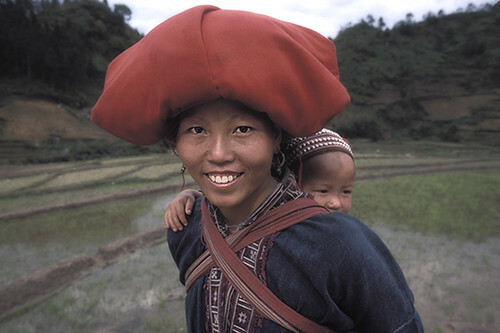 The project features tourism training to help sustain vulnerable ethnic cultures and maximize benefits of tourism to small and unique villages in Northern Vietnam. Training is done by Capilano and Hanoi Open University students and faculty. Taphin offers visitors that truly authentic hill tribe experience. More than that, the Red Dao are some of the most welcoming people you may every meet. Thanks to CBT Vietnam training workshops many homes offer homestay experiences and authentic batik workshops.